Nosalowy Dwór Knockout Boxing Night 4 is the most exclusive sport event in the Tatra Mountains and a unique opportunity to feel the real emotions of a boxing ring and the unforgettable atmosphere of an elegant performance in the Las Vegas convention. 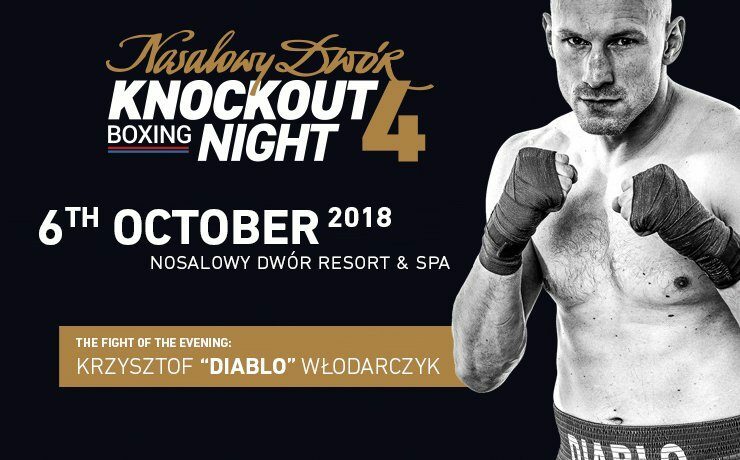 In the fight of the evening we will see two-time cruiserweight champions Krzysztof „Diablo” and American fighter Al Sands (20-3,18 KO). Additional featured events: ring-girls show, live music, boxing gloves auction, prize drawing, commemorative photos with the Polish fighters.